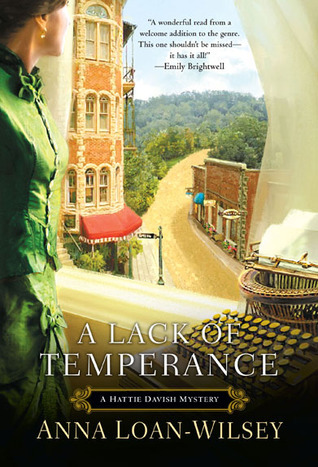 "A Lack of Temperance" takes place in Eureka Springs, AR. Carroll County. The first of five novels begins in the lovely town of Eureka Springs, Arkansas in 1892. Eureka Springs Arkansas has a long history of being a tourist destination as well as a place ghosts love to hang out. The famous Crescent Hotel is featured on the front cover, showing Eureka Springs as it would have looked during that period. As Hattie Davish puts her deductive and scientific reasoning to work, her typewriter proves to be the weapon of choice in bringing a murderer to justice. Ms. Davish travels throughout the United States as a traveling secretary and becomes a well-respected detective as well. A strong and smart female protagonist, Hattie Davish will take you along her life journeys. You will enjoy the travels and interesting historic and scientific facts that can be learned as well. This is a series. Anna Loan-Wilsey's other books can be located here. Check out the books or look on Arkansas Books2Go. Choose Pope County Library, enter your Library card number and the last 4 digits of your phone number we have on file. Download the OverDrive App for Free.